The Grand Marshals will lead the annual Parade of Champions Saturday night (March 10) before the championship bouts of the 39th annual Illinois Elementary School Association (IESA) State Final Wrestling Tournament. The IESA started having Grand Marshals in 1996. The Grand Marshals are honored for their contributions to interscholastic wrestling and the young men who participate in the sport. They are nominated by the IESA Wrestling Advisory Committee and approved by the IESA Board of Directors. The marshals will play an integral role of the Parade of Champions as they will lead the 38 individual finalists and their coaches into the Convocation Center, amidst music, applause and cheers from teammates, parents, family, and fans. Earl Brooks has been a role model his entire life which has included coaching stints at two IESA member schools and service to our country as a telecommunications specialist in the United States Army for 10 years. His time in the Army allowed him to serve in the United States, South Korea, and West Germany. 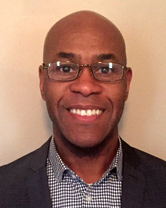 Understanding the importance of an education, while still serving in the Army, Earl continued his education at Central Texas College, DeVry, and the University of Maryland, earning a Bachelor’s of Science Degree in Telecommunications Management. He qualified for the trials of the Pan-Am games in 1987 and started his first coaching venture as Head Wrestling Coach at Patch American High School in Germany. In 1991, Earl coached at the European Championships and gained his first individual European Champion. Prior to joining the Army, Earl began his wrestling career in 1976 in Newport News, Virginia where he developed his wrestling skills and became a top collegiate wrestling recruit. From 1981-1983 at the 98 lb. and 105 lb. weight classes, Earl competed and medaled in the Virginia State Wrestling Championships. Earl served as the wrestling coach at A. Vito Martinez Middle School in Romeoville from 1999-2006, where he had multiple IESA state qualifiers placers and 3 state champions. From 2007-2015, Earl started a new wrestling program at John J. Lukancic Middle School and continued his winning form with multiple IESA state qualifiers and placers and giving the school its first individual IESA state champion. Earl had an overall IESA wrestling dual record of 162-53. Although Earl has been retired from coaching wrestling since 2015, he continues to mentor student athletes within the Valley View School District and volunteers coaching. He uses the sport of wrestling to teach about real life situations. Earl states his coaching philosophy very simply --- "I have always believed that a coach can coach to satisfy his own ego or he can coach to shape the lives of young people”. Earl has chosen to shape the lives of his wrestlers. Married for 28 years to his wife Uta, they have two sons, Julian and Aaron. Both sons are former wrestlers who placed at the IESA finals. Steve DeNeut has established himself as one of the true legends in the IESA coaching ranks. His wrestling teams while he has been the head coach at New Lenox have produced an amazing dual meet record of 433 wins, 75 losses, and one tie. Since taking over as head coach starting in 1992, he has had 291 wrestlers qualify for the IESA finals and 91 of those wrestlers have placed in the finals. His teams have won 18 regional titles, 15 sectional championships and twice they have won the IESA team title in 2002 and 2003. He shares the record with Wheeling Holmes for qualifying the most wrestlers for the finals with 20. Steve grew up in the wrestling rich state of Iowa and he graduated from La Porte City High School in 1977. He was a four year letter winner in wrestling while attending high school and he also lettered in track and tennis. He placed in the 119 lb. class his junior year in the IOWA high school state finals. The following year, he was named the team's most valuable wrestler and team captain his senior year. After high school, Steve attended Wartburg College where he was a three year letter winner and served as captain in 1981. In addition to his duties as the head wrestling coach for New Lenox, Steve teaches US History, is the head boys track coach, and athletic director. 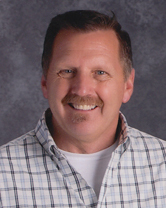 He has served on the IESA wrestling advisory committee twice, is currently on the IESA athletic directors advisory committee, has assisted at the IESA state bowling tournament as a scorer, and runs the long jump event at the IESA state track and field meet. He and his wife Melissa have a daughter, Anna, and a son Mark who was an IESA qualifier in 2014 and 2015. One word describes Paul Vittone---Dedicated. Throughout his life, Paul has been dedicated to his every pursuit whether that be teaching, coaching, officiating, husband, father, or grandfather. Paul attended Ottawa Township High School. Wrestling at 138 pounds, he was Conference Champion, three-time Regional Champion, two-time Sectional Champion, and two-time State Qualifier in wrestling. He was a two-time “Most Pins” award recipient and was the record holder for “Most Wins.” In 1970, he was voted “Most Valuable Wrestler” during his Senior year. He also was the starting running back on the 1969, undefeated, Ottawa Pirates football team. After high school graduation, Paul attended Iowa Wesleyan College where he played football, earning 1st Team All-Conference on Defense. He graduated in 1974 with a Bachelor of Science degree in Mathematics. Following graduation, Paul taught high school mathematics, coached high school football and wrestling at Waco High School in Olds, Iowa. During this time, he helped coach several undefeated seasons in football and brought home the first high school wrestling tournament championship in the school’s history. 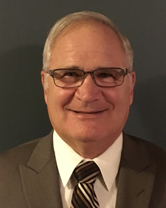 In 1987, Paul returned to Illinois where he taught mathematics and coached football and wrestling in DeKalb at both middle and high school levels. He enjoyed his time coaching wrestling under Arch Richoz and Dan Jones where they won several IESA State Tournaments. While juggling teaching, coaching, and a young family, Paul earned his Masters degree in Mathematics from Rockford College in 1994. In 2010, Paul retired from teaching and coaching from DeKalb High School where he was the Mathematics Department Chair. He has been an IHSA licensed wrestling official for 30 years and has worked numerous IHSA and IESA regionals and sectionals. He officiated the IESA state finals in 2010 and 2011 which he calls the defining moment of his officiating career. Paul will retire from officiating at the conclusion of this wrestling season and will leave behind a legacy of dedicated service to the schools and wrestlers of Illinois. He plans to spend the winter months with his wife, Mary, his four children, their spouses, and seven grandchildren. Lastly, he would like to thank his parents, James and Clara, for supporting his interests in wrestling and football at a young age.